When I met my boyfriend he was heavily into marijuana. It took me almost a year to get him off of it and now his mom and dad have him using again. The bad thing is we have a 11 month old son now and I don't want my son around someone who uses drugs. He tried to hide it from me but his best friend just told me he started again all thanks to his parents who are drug abusers. I know for a fact he is using because he is refusing to take a drug test for me. It could prove his innocence but by him refusing i know he knows it's gonna be positive. I don't know what to do anymore. I don't want our son around someone who does drugs but I have no where to go. Please help me to get thru this. I am on antidepressants and they don't seem strong enough at this point to help me thru this! Comments for Boyfriend addicted to marijuana? Wow, you're in a very difficult situation. From what you describe, your boyfriend and the father of your child is addicted to marijuana and is continuing to use regardless of your efforts to stop him. "The new research is part of a large-scale study of health and development conducted in New Zealand. Researchers administered IQ tests to over 1,000 individuals at age 13 (born in 1972 and 1973) and assessed their patterns of cannabis use at several points as they aged. Participants were again tested for IQ at age 38, and their two scores were compared as a function of their marijuana use." The results were striking: Participants who used cannabis heavily in their teens and continued through adulthood showed a significant drop in IQ between the ages of 13 and 38—an average of 8 points for those who met criteria for cannabis dependence. (For context, a loss of 8 IQ points could drop a person of average intelligence into the lowest third of the intelligence range.) Those who started using marijuana regularly or heavily after age 18 showed minor declines. By comparison, those who never used marijuana showed no declines in IQ." In other words he will have an irreversible lowering of his IQ and intelligence if he continues to smoke pot and his parents are probably already effected by this consequence. The problem is he doesn't realize that he has an addiction problem and is likely denying that he needs to quit. You can't do this alone, you need support from people who understand your problem and can help you work through a solution. The first thing I would recommend is that you call you doctor or local hospital ask them where you can get help because you boyfriend is addicted to marijuana. They are likely to refer you to a treatment center. You should go in and meet with the people there and enlist their help. 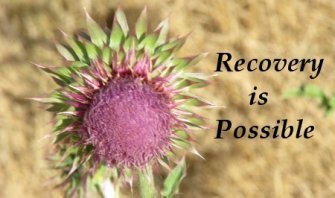 There are also two groups that I would recommend you join, one is Celebrate Recovery held at many local churches and Al-anon who can help you decide the best course of action and support you as you work through it.